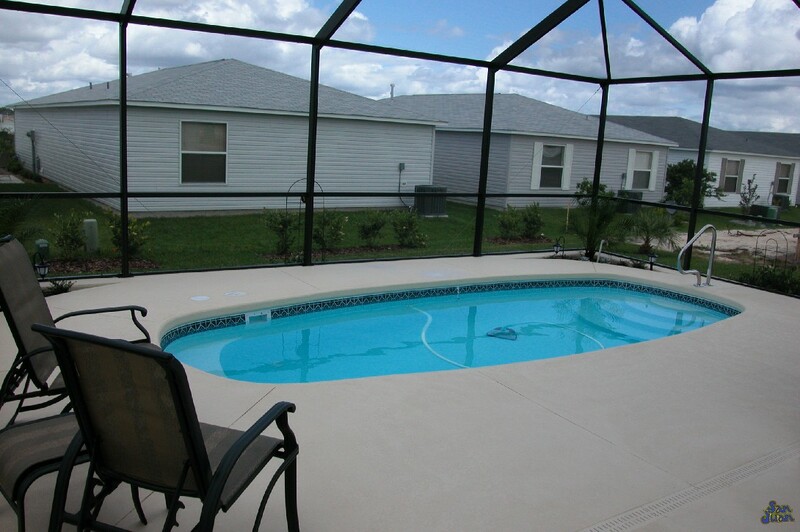 The Palm Beach is a comfortable and easy to install fiberglass swimming pool. It’s petite design and comfortable deep end make it both attractive and friendly to all types of swimmers. Perfect for modest lap swimming and water aerobics, the Palm Beach has been a very popular model since it’s inception with San Juan Pools. Classic and timeless, the Palm Beach is a traditional oval pool shape. 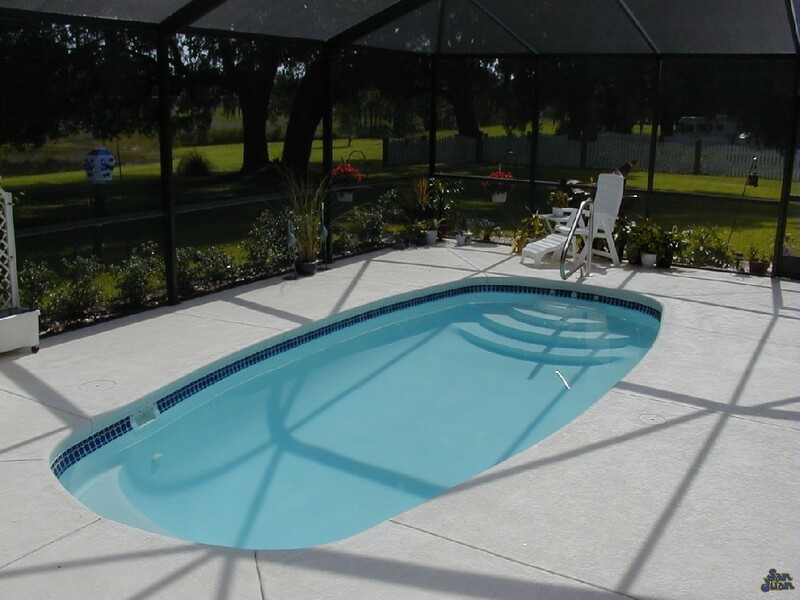 It’s clean lines and simplistic design make it a popular staple among our fiberglass pool lineup. Bells and whistles aren’t what we’re going for here. 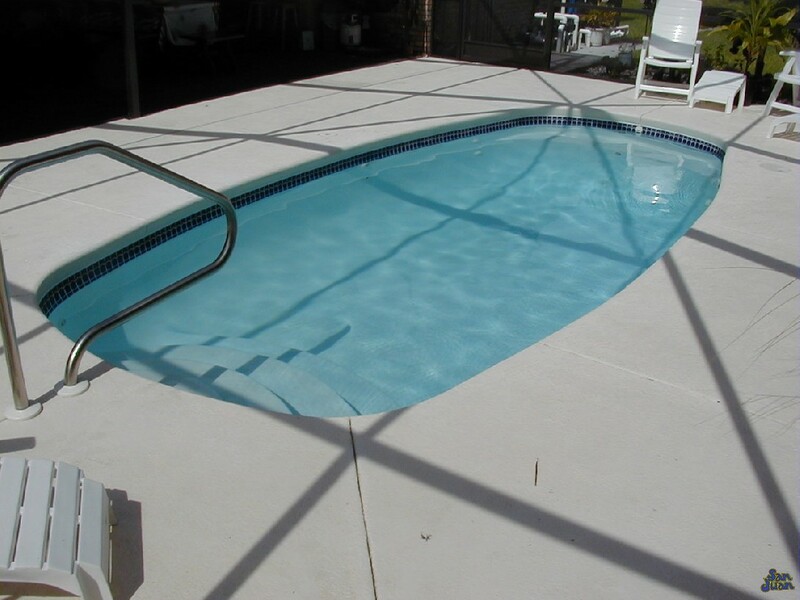 Instead, we wanted to introduce a pool shape that appeals to a wide range of clientele. Intended for multiple types of water activities, the Palm Beach has the space and layout to keep the swimmer entertained. Stretch out for some comfortable lap swimming or relax in the deep end swim out bench. Secondly, the Palm Beach provides both a comfortable maximum depth of only 4′ 11″. This ensures a safe swimming environment for swimmers of nearly any level. 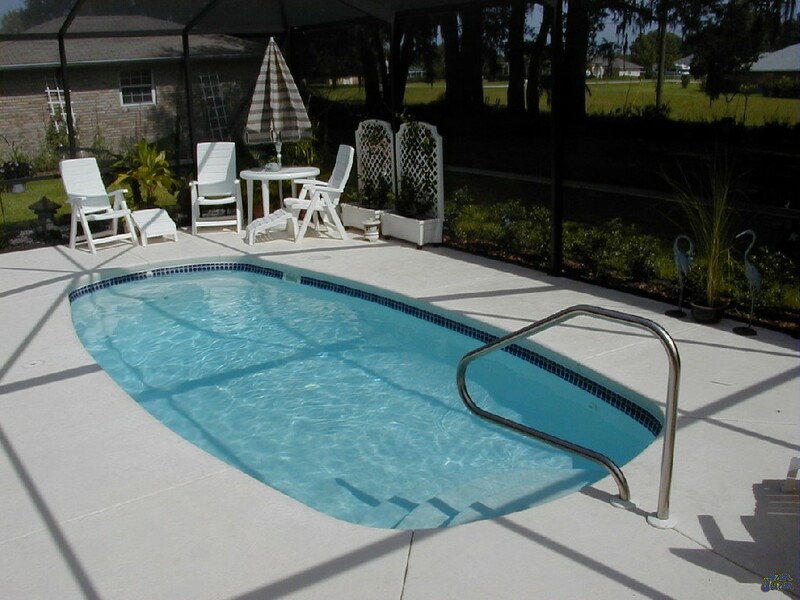 Popular for it’s gentle slope from shallow to deep end, this fiberglass pool is exceptional for water aerobics. Host a class with friends or take a solo aerobic swim session. The Palm Beach is sure to give you the workout that you’re working for. Lastly, it’s petite size of only 4,800 Gallons help it to fit inside of enclosed patio spaces (like the one above). This is a great bonus feature for those who want to shield their backyard from pesky bugs or rain. As we highlighted above, the Palm Beach provides a maximum depth of only 4′ 11″. 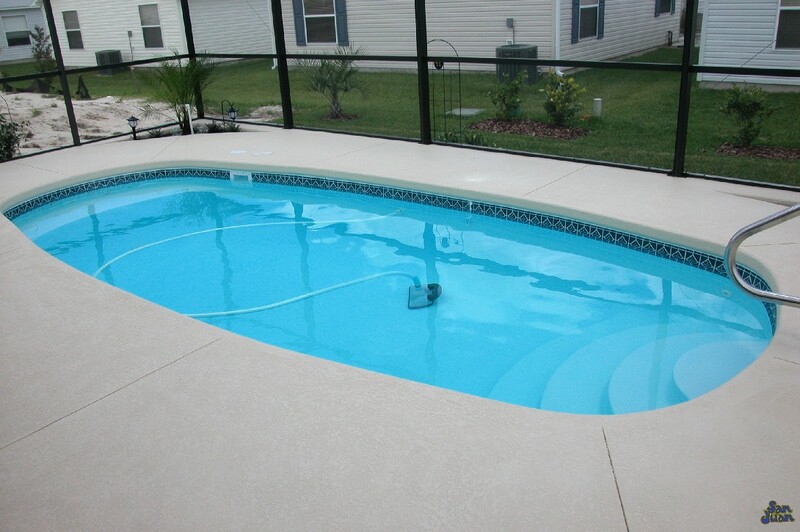 This modest deep end is popular for many adult swimmers or those with children. By providing convenient ledge seating in the deep end, we’ve created a great space for swimmers to rest and catch their breath. Although the Palm Beach only holds 4,800 Gallons, it’s comfortable length of 21′ 10″ makes it feel larger than what it really is. It’s narrow width of 10′ 5″ allows us to stretch this model and enhance the length. This generates a great space for comfortable lap swimming, pool games, aerobic activity and much more. In conclusion, the Palm Beach is a great option for any home owner that wants a comfortable space to swim and relax. It’s petite size allows it to be installed in nearly any outdoor environment. Place it inside of an enclosed backyard, surround it with landscaping or keep a simple design; the options are limitless. 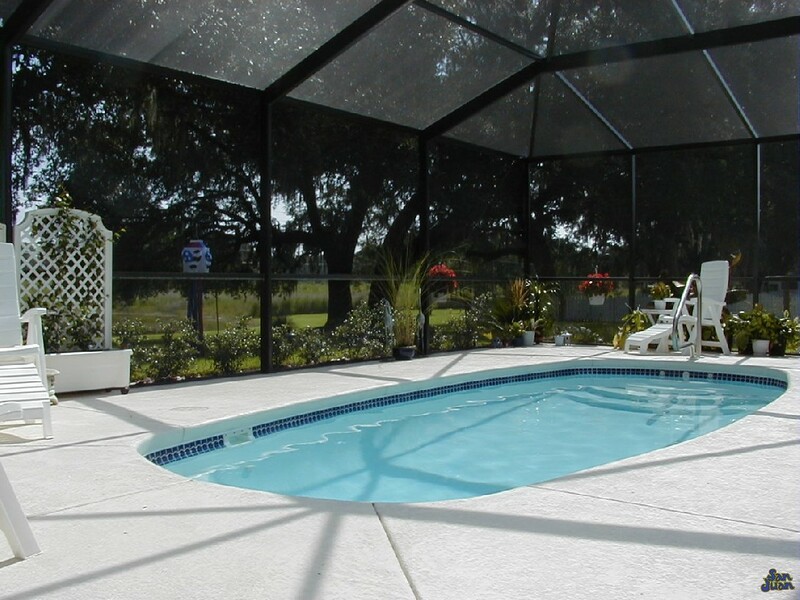 We recommend this fiberglass pool for clients who want the benefits of owning a pool without the hassle of costly maintenance. You’ll still need to balance your pool chemistry, but the petite size of the Palm Beach makes maintenance a breeze. This is a great benefit and one that allows you to enjoy your backyard space for what it’s meant to be: a place to escape and unwind.